RUSH: Noel in Virginia Beach. Great to have you on EIB Network. Hello. CALLER: Hello there, Rush. Mega dittos. My question, Nancy Pelosi is bringing a DREAMer into her box for the State of the Union. Who do you think Trump should put in his box to counteract that? RUSH: Could you run that by me again? You’re asking about Pelosi and DREAMer. What was the question about her and the DREAMer? CALLER: Well, she’s inviting a DREAMer into her box for the State of the Union speech. Who should the president put in his box? RUSH: Oh. I have heard that they’re gonna — you know, that reminds me of something you have just inspired. These DREAMers, just to show you what the left is, what are these DREAMers, the activist DREAMers, doing? They’re running around agitating, protesting. They’re doing things that are not gonna inspire people to want to let ’em in! But no. These DREAMers are out there running down America, running down Trump, talking about America’s racist, sexist, you know, the usual bromides. What another total political miscalculation. And now showing in the house chamber, I’m told a bunch of them are gonna protest. How does that help their cause? But this is what the left is. It’s a collection of victim groups with endless grievances that they want to just make hay on blaming America for. I don’t see how that helps them. Now, this story is like three-days old. This story was published on the 26th. So this is pre-my theory. “U.S. President Trump said Friday he was willing to shift his stance on immigration to push through a deal that protects illegal immigrants brought to the country…” (crumples up paper) What am I doing three-day-old stuff? That makes my point that this proposal, “Hey, I can do amnesty for the DREAMers.” He put it out; he wants the Democrats to reject this. He wants to look like the man of compromise. He wants to look like the guy that has compassion for the DREAMers, and the Democrats are the ones rejecting it, and that has happened. And like I said, the DREAMers themselves… Imagine this. This continues to amaze me. We have a group of people that everybody thinks the number’s 700,000 or 800,000. It isn’t. It’s 3.6 million. The ’86 amnesty bill, Simpson-Mazzoli, was 2.6 million illegals were granted amnesty, and just with the DREAMers and the related chains, we’re up to 3.6 or 3.8 million that would be granted amnesty, ultimately, if this were to happen. The Democrats have rejected it! The DREAMers… Imagine this. We have this political activist group, the DREAMers. Now we’re told they’re just a bunch of children, a bunch of kids — and what are they doing? Well, they say that they’re gonna be in the House chamber tomorrow night in the State of the Union and they’re gonna be protesting Trump. Trump’s the one that offered an amnesty for some of them. But they’re otherwise, in addition to being in the House chamber, whether they are or not, they’re out there agitating. They’re doing the exact opposite of what you would think that they would do. If they want citizenship, if they want amnesty, what’s so hard about publicly talking about how much you love America, how eager you are to be a citizen? You’re called a DREAMer; why don’t you say your dream is to become an American citizen? You longed for it, you imagined it, you dreamed about it, you love America. But they’re not going about it that way. They’re going about it by agitating and protesting right out of the playbook of the Democrat Party and the American left. And, as such, they are not succeeding in drumming up public support for their cause. If I didn’t know better, I would think they almost want no deal to be offered. I think that the Democrat Party wants this issue as an election issue. That’s why they rejected them, among many other reasons. They think they’re gonna win the House in ’18, even though I don’t see any other evidence of it besides polling data. They think they’re gonna win the House in 2018. So why should they accept anything less than what they want now? So I think part of this is to anger Trump and other Republicans into not offering any amnesty because they need the Republicans to be seen as the enemy. They need the Republicans to be seen as heartless, as having no compassion, being bigots and racists and all the usual things. So they’re angry and they are expressing it and it is counterproductive to what they are claiming that they actually want. Now, Breitbart had a story yesterday. Marc Short, bald headed guy — did you know this guy’s a Never Trump leader? Marc Short was a leader of the Never Trumpers, I’m pretty sure. But he’s now Trump’s liaison to Congress. So he’s a Never Trumper that’s joined the regime. Now, the Democrats’ ultimate goal is to legalize all 3.6 million illegal alien, quote, unquote, children and their parents. And they’re not gonna settle for any deal that will settle for any less than this. This is why Trump voters get nervous. Who is this guy and why is the White House anxious to deliver big amnesty to Democrats. I totally understand people being worried about this. 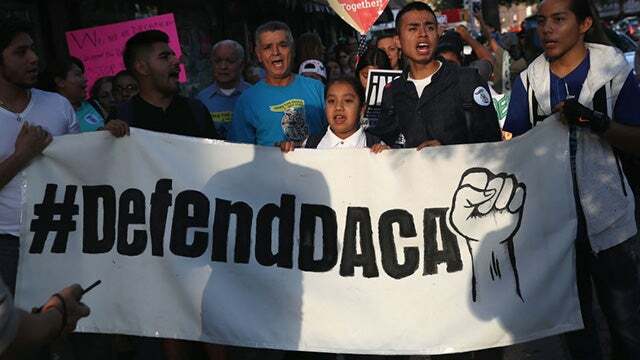 Marc Short said: “We started by saying we want to protect the 690,000 people who have permits under DACA, meaning people age 16 to 36, who have work permits who are in this country, producing, contributing to our economy. We, of course, want to protect them. We don’t want to send them away. “But Democrats said that population should be larger. We should consider those who are eligible but were afraid to apply. We should also go back to 2012, which is when [President Barack] Obama put in place his unconstitutional order … We’ve been trying to get a deal. This is Trump’s liaison aide saying this. This is not what Trump campaigned on. This is not what Trump was elected to do, to make deals with Democrats on immigration. Now, wait. Aren’t these the same people who were trying to get Trump to promise to couple comprehensive immigration reform with the DACA deal just a couple of weeks ago? So what Trump wants to do — it’s a misnomer to say that Trump wants to reduce legal immigration. He wants it to be merit-based. Trump wants all immigration to feature merit. Are people qualified? Do they speak English and are they willing to learn it? Are they self-reliant? Can they or will they be able to support themselves? Do they love America? Do they want to become Americans? Absolutely the right criteria. There’s nothing racist or sexist or bigoted about it. We have total control over who we want into our country, and we are not under any obligation to let in the absolute worst group that’s gonna end up being a burden to our country. That’s not the reason we exist. But to the left, it is. The purpose for the United States is to accommodate all the world’s poor because we are responsible for them, in large part. So Trump’s maneuvering on this via some of his aides remains curious to some. 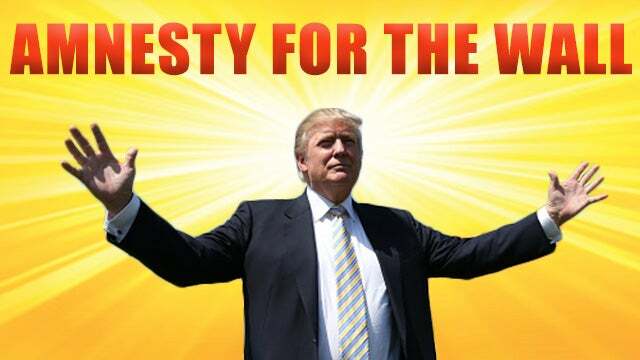 And others are thinking that Trump is actually trying to win the image debate here by proposing things he knows that they will reject and being the one seen as willing to compromise and willing to grant amnesty to some of the kids and get started and wants the Democrats to be seen as the restrictionists, the obstructionists, which they are being. RUSH: Barry in Sacramento. Great to have you, sir. How are you doing? CALLER: Great, Rush. Thanks. I wanted to follow up on the immigration conversation. CALLER: I’m a conservative, but if we put politics aside, I actually think Trump’s immigration proposal would be good for America. You know, politicians have been talking about so-called comprehensive immigration reform forever. But Trump actually outlined it perfectly. It’s I think the first time I remember seeing it articulated in 40 years. RUSH: You talking about the merit-based aspects of it? CALLER: No, I’m talking about his five points, that two million DREAMers get a path to citizenship but of course that’s not instant, it will take 10 years or more, they have to get in line. You stop chain migration for anchor babies where we get 20 or 30 additional immigrants for every anchor baby. 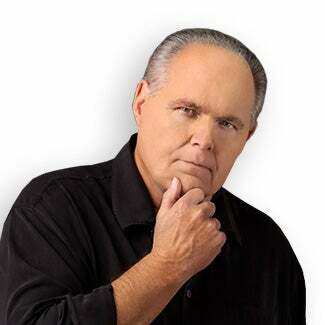 RUSH: Democrats are never going to agree to that. Even if you like the idea — and I know what you’re talking about now, and I goofed up. I thought I had a minute more than I have. Barry, let me get your number, give it to Mr. Snerdley, we’ll call you back. I hate that you got short-changed here ’cause I have to run. I’m literally out of time. But chain migration, they’ll never go for that.